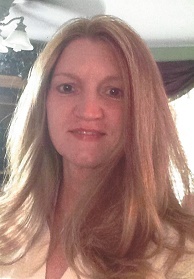 Emily Marie Turner, 43, formerly of the area, passed away September 20, 2018. Born in Hillsboro on July 27, 1975, she was the daughter of Jerry Waters and the late Deborah (Lewis) Waters. She had worked as an office manager for Alternative Healthcare in Port Charlotte. She married Steven Turner, who survives. Surviving also are sons, Brendon (April) Sykes, Baylee Sykes all of Alton; step-sons, David and Daniel Turner of Jerseyville; grandparetns, Helga Lewis of Bethalto, Janet and Sonny waters of Bethalto; In-laws, John and Linda Unnerstall in Florida; sisters, Amanda (Douglas) Saragusa-Kutter of Bunker Hill, Melissa (Gene) Thomas of Benld; nieces and nephews, Devin, Anthony and Dakota Saragusa, Tieler, Maegann and Tanner Thomas; aunts, uncles and cousins. Her mother, grandfather, Lloyd Lewis; brother-in-law, Ronald Saragusa; and uncle, Harold Dailey preceded in death. Visitation will be from 4-7 pm, Wednesday at Marks Mortuary in Wood River, where services will be conducted at 10 am, Thursday.